Beach Lane Books, 9781442498419, 288pp. 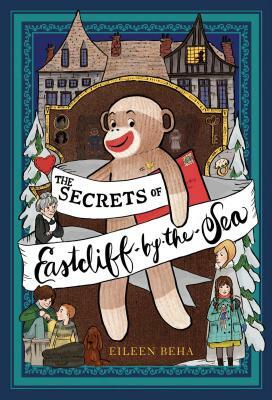 A charming sock monkey reunites a fractured family in this simply remarkable novel in the tradition of The Velveteen Rabbit and The Penderwicks. Meet Throckmorton S. Monkey. He’s everything a sock monkey is supposed to be: Loving. Loyal. A very good listener. And he’s never, ever—not even once!—stopped smiling. Yet Throckmorton has been long forgotten by his keeper Annaliese Easterling, and he seems doomed to live out his days lost and lonely among other abandoned stuffed animals. But then one day Great Grand Mama Easterling sends engraved invitations to forty-nine sock monkeys to attend her ninetieth birthday along with their human keepers. Throckmorton is thrilled! The arrival of his invitation brings him back together with Annaliese. And he vows to do something so remarkable, so amazing, she will never want to be separated from him again. “This unusual novel is old-fashioned in the best sense of the word, conveying universal truths and values through the use of sentient toys” (Kirkus Reviews, starred review). Eileen Beha is the author of The Secrets of Eastcliff-by-the-Sea and the celebrated middle grade novel Tango: The Tale of an Island Dog. A former middle school principal, Eileen received an MFA in creative writing from Hamline University. She lives in Minneapolis with her husband and their two dogs, Tango and Daisy. Visit her at EileenBeha.com.